SOP-286532-500-00 Dodge Viper SRT (2013-2017) Seat Lowering kit - Up to 2 inches! 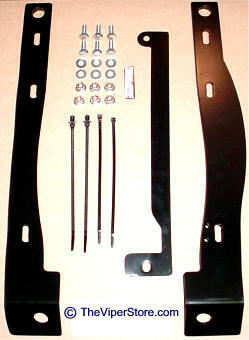 This is a height adjustable seat lowering kit capable of lowering the seat by up to 2 inches. This kit will work on both the manual and electric seats, and still retains the height adjustability to fine tune the seat position to suit the driver's wishes. Does not interfere with air bag or any other functions. The fore and aft movement of the seat is eliminated, placing the seat to the far aft position. The seat back tilt function is unaffected. 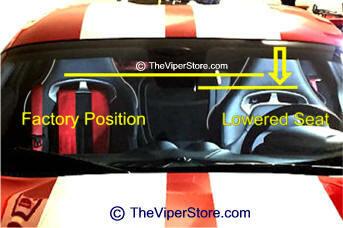 At this time the lowering is only available for the drivers side seat. Notice the differences of the seat heights in the photo below.